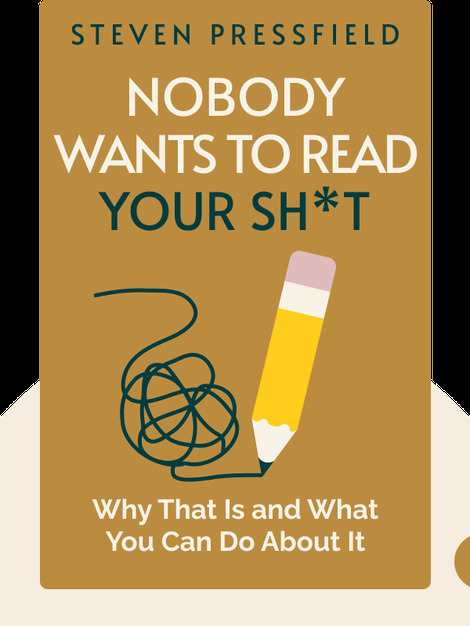 Nobody Wants to Read Your Sh*t (2016) is a guide to the ins and out of writing, whether it’s a book, a screenplay or advertising material. Making a living writing isn’t an easy thing to do, especially since the last thing a busy person wants to do is read some poorly written manuscript. But with these helpful tools and the insight of a 30-year veteran of the industry, you can be on your way to writing the kind of captivating work that people love to read. 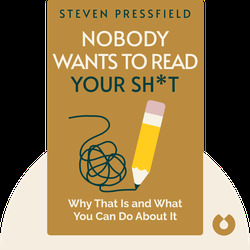 Steven Pressfield is a best-selling writer who has worked in advertising, screenwriting and as an author of both fiction and nonfiction. His books include The Legend of Bagger Vance, which he also turned into a screenplay for the movie of the same title starring Will Smith and Matt Damon. His experiences and advice on writing can be found on his popular blog, stevenpressfield.com.